INVESTOR SPECIAL: Loads of potential with this split foyer home. 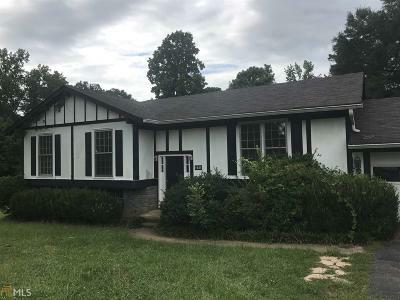 Features 4 bedrooms, 2-1/2 baths, 2466 +/- sq ft, home has a large recreation room/den with fireplace in basement, .75 acre lot, with a large back yard. SOLD AS IS, priced to sell. Directions: Hogansville Road To Left Into Sivell Acres, Left On Shannon Dr, Home Is On The Right. Look For Sign.